gLAWcal analyzes, assesses and diagnoses implemented policy, in the developed and developing world, drawing on the skills of a team of analysts from a wide range of disciplines. Our people are familiar with the policy environments of the regions they explore, and provide relevant insights to help policymakers fast-track best practices. Globalization, and the consequent international exchange of goods, services, cultures, ideas, has brought increased wealth for many on the one hand, while exerting pressure on core societal values both in developed and developing countries on the other hand. Public opinion and policy makers have warned against the threat posed by international trade and liberalization to policies and measures meant to protect the so-called non-trade concerns (NTC), such as environmental protection, sustainable development, good governance, cultural rights, labour rights, public health, social welfare, national security, food safety, access to knowledge, consumer interests and animal welfare.When trying to protect these issues, developed countries have put into place trade measures that have encountered resistance or dissent in developing countries, being perceived as protectionist actions or as an attempt by the importing countries to impose their social, ethical and cultural values on exporting countries.The challenge of integrating Non-Trade Concerns embodies the willingness to overcome national egoisms and embrace universally a number of fundamental values, creating an ethical and juridical platform to win over cultural differences and issues of national sovereignty. gLAWcal’s research aims at identifying ways to protect NTC within international economic law. By shedding new light on developing countries’ trends towards inclusion of NTC in the domestic and international arena, gLAWcal provides a comprehensive perspective on law enforcement, creating a bridge between the international and the domestic realities. The need to prevent the abuse of intellectual property rights by right holders or the resort to practices which unreasonably restrain trade or adversely affect the international transfer of technology are topical issues that affects international relations. It is crucial for developing countries to achieve a substantive degree of IPR protection, not only for the promotion of creativity and innovation, but also for the maximization of technology transfer from developed countries. In the last fifteen years, all around the world there has been a tendency to put much hope in the rise of civil society, its emergence being welcomed as a sign of progress towards a more democratic system. Many places in the world are today laboratories for change thanks to bottom-up movements supported by civil society organizations. By looking at contentious politics and how they converge and interact with institutional politics, we can better understand what directions a country’s political system and its governance is taking. The right to adequate food is an important issue recognized by the International Covenant on Economic, Social and Cultural Right. However, there is still a gap between the principle in theory and the implementation of such a right in practice. Issues of food safety and consumer protection are increasingly more relevant not only in developed countries but also in developing countries. Security standards for food products have also become the cause for disputes among countries. According to recent studies, more than 1.1 billion people in the world do not have access to drinking water and more than 2.4 billion people suffer from diseases related to contaminated water. Water scarcity and water pollution are the main causes of human death in the world today.Access to safe water is considered a human right, and therefore it is often claimed on the basis of international law. A fundamental right to every human being, the right to health implies for States to generate conditions in which its citizens are as healthy as possible. Due to globalization and the deep intertwined relations among states today, health issues go beyond national borders and thus strongly affect international trade. The growth in green energy investments worldwide is an important reality and rising trends are to be expected in the future. When designing the proper policy agenda for renewable energy investments, we must take into consideration the legal, regulatory and political frameworks in both developing and developed countries. Improvements in people’s economic wellbeing have increased citizen demands for a cleaner environment. As societies undergo the transition to industrial development and modernity, their citizens begin to concern themselves with needs and wants beyond the material, including the protection of the environment. However, growing levels of environmental consciousness and awareness are often not matched by proper environmental legislation enforcement at the local level. gLAWcal examines IPR regimes and their impact on competition with the objective of providing a better understanding of the competition-dimension of IP rights. Intellectual property rights are also extremely crucial to sustainable development in manifold ways, from the protection of traditional knowledge and cultural products, to access to essential medicines. Our organization focuses on the policy frameworks and institutions shaping debate and policy development in this sector. gLAWcal supports collective forms of actions aimed at the creation of better societies, on many social issues, and in various geographical areas. 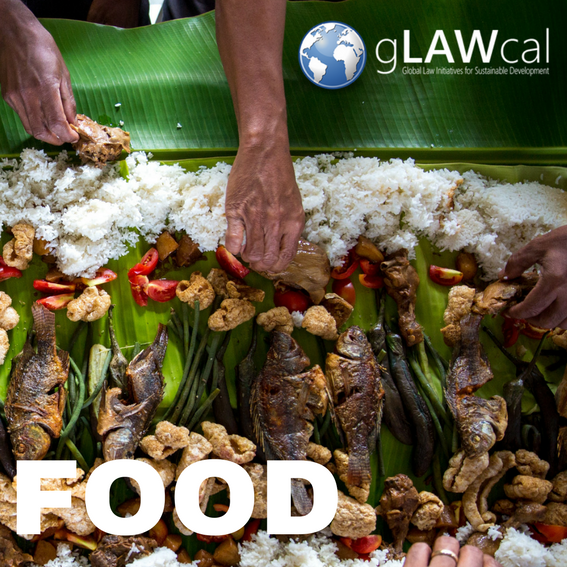 gLAWcal research is on the interplay between Non-Trade Concerns in the area of food safety and on the institutional and legal framework for international trade. 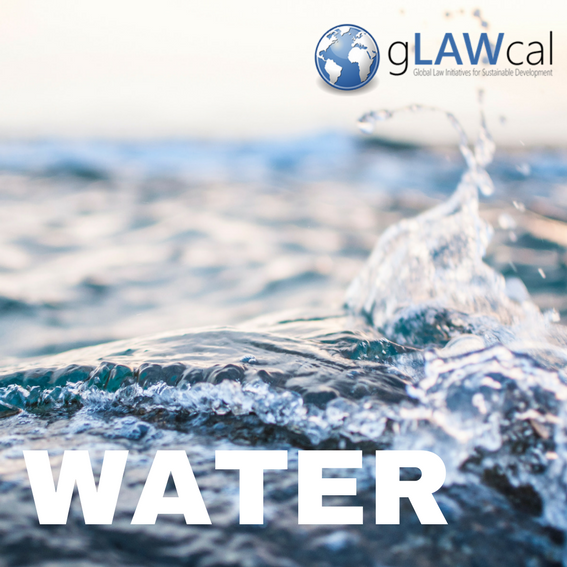 gLAWcal casts a new light on this issue, considering problems related to right to water in the perspective of international commercial law. gLAWcal monitors developments in this area with his accurate and up-to-date research. gLAWcal aims at analyzing national approaches on the matter, combining scientific, social and economic considerations. At the same time, it wishes to develop partnerships among European and non-European institutions, so as to deliver an integrated approach on sustainable energy investments, combining global and local perspectives. gLAWcal looks at environmental rights developments in developing countries, and aims at delivering policy advices and capacity building support in areas where law implementation is lacking. With this purpose, our organization seeks to improve environmental protection not only for the benefit of the populations directly affected, but also for the sake of the entire planet.